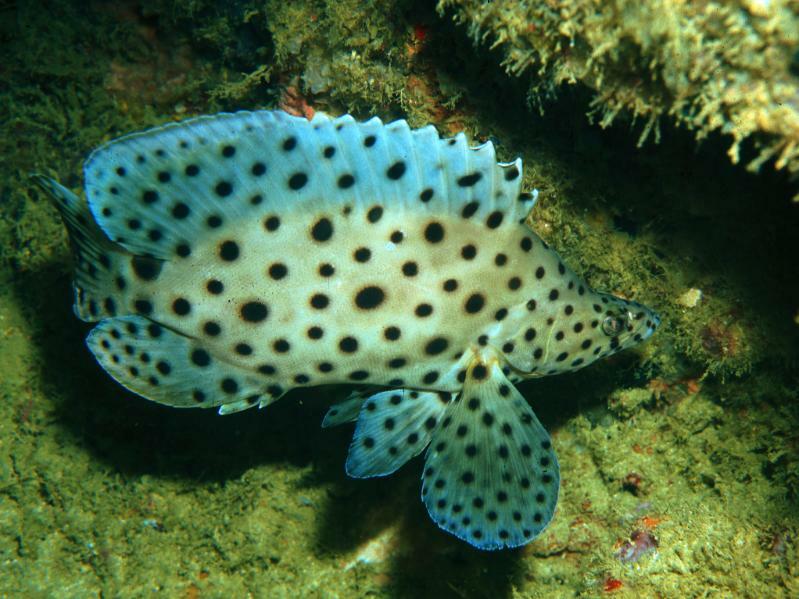 The panther grouper’s body is white or light, pinkish grey and both the body and the fins are covered in large, round, black spots that are proportionally larger in the youngsters. The panther grouper is a solitary fish intolerant of those of its same species or fish of a similar size. It spends a large part of its time in the open sea, swimming gracefully, and is very tame. It is a carnivorous fish that eats small fish. It swims with its mouth downwards while it looks for food. They are simultaneous hermaphrodites, that is, they have both ovaries and active testicles. It is found in the Indian Ocean, on the coast of the Eastern Indies, the Philippines and Queensland (Australia). With maturity the stains multiply, but become smaller. Where is this fish looking? With so many stains looking like eyes, it is difficult to know.